Our growth and health depends on the quality of food we eat. 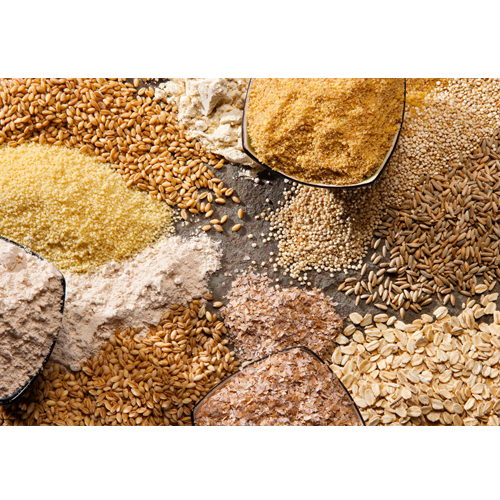 There are various regulatory bodies present that keep a check on the quality of cereals. To be in compliance with their standards, an intensive testing on cereals is required. Today, farmers use harmful pesticides to increase the yield and these cereal testing services evaluate the harmful content present. Established in the year 2010, Chennai Testing Laboratory Private Limited is a renowned manufacturer of Air Testing Service, Water Testing Services, Milk Testing Services, and more. We cover a wide array of laboratory testing analysis for the quality standard nutritional value of almost all the matrix in food and environment. Food testing covers biscuits confectionery sweets snacks savouries rice millet cereals pulses fruits vegetables milk dairy products dry fruits nuts spices turmeric powder cinnamon powder coriander powder chilly powder masala powder idli powder wheat barley maize coconut oil soya oil palm oil gingerly oil sesame oil mustard oil cottonseed oil groundnut oil olive oil fruit juice health drinks grape juice mango juice orange juice apple juice ginger garlic paste pastry pizza healthy mix moringa powder ghee butter cheese sago fish chicken meat animal feed poultry feed cattle feed packaged food ready to eat foods chips wafer. Testing analysis of food food products for protein-carbohydrate energy dietary fiber crude fiber sugar sucrose fructose fat saturated fat polyunsaturated fat monounsaturated fat trans fat calcium potassium sodium selenium zinc iron copper phosphorous vitamins minerals micro-nutrients mycotoxins aflatoxins ochratoxin added sweeteners preservatives contaminants toxic metals like mercury arsenic cadmium lead chromium pesticides insecticides fungicides residues refractometer readings brix carbon-hydrogen sulphur eco lip total plate count total bacterial count salmonella listeria monocytes coliform yeast and mould count shelf life water activity food ingredients food supplements food additives. Testing analysis of environment for ambient air quality as per national ambient air quality standards, flues gas emission testing in chimney stack outlets, testing for so2, not pm10 pm2. 5 lead arsenic carbon mono oxide ammonia-methane benzopyrene polyaromatic hydrocarbons volatile organics. Testing analysis of water waste water as per is10500 is 13545 is 4251 for Ph bod cod ads ss hardness alkalinity sulphates nitrates chlorides calcium magnesium sodium per sodium chromium arsenic lead silica e Coli total plate count total bacterial count pesticides sodium absorption ratio.